By this time the Rock Island's line across Kansas and Colorado had been abandoned for several years. 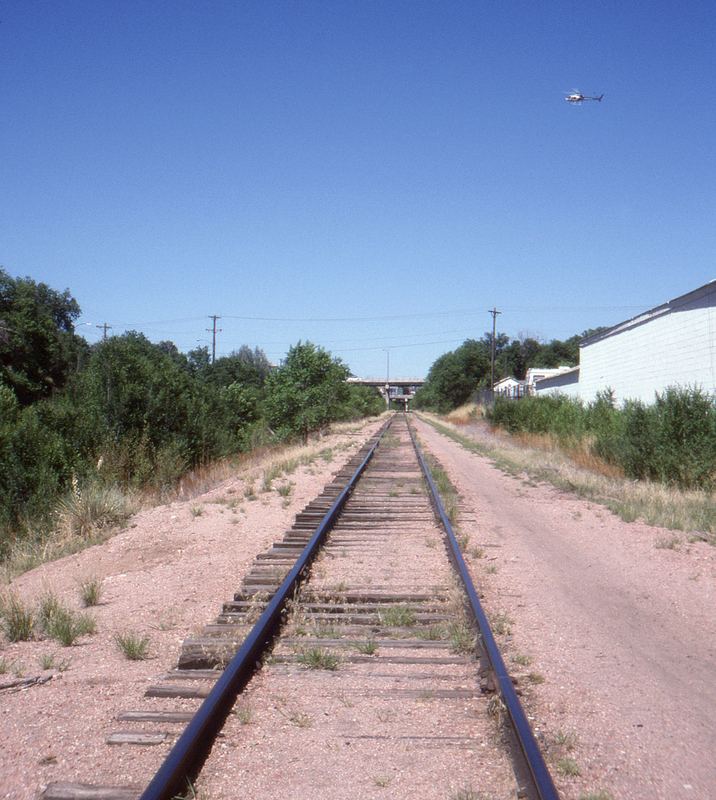 This appears to be the remains of the former mainline into the western terminus at Colorado Springs. After the Rock was permanently shut down in 1980 this line was operated by the Cadillac & Lake City as far as Limon, Colorado for a time. Judging from the shine on the rails, it was still in frequent use for local industries when this photo was made.